What do you get when you mix the harmonies of Van Halen, the backbeat of The Red Hot Chili Peppers, and the shreddology of Joe Satriani? The answer? The “supergroup” Chickenfoot. Chocked full of amazing harmonies from Sammy Hagar and Michael Anthony, solid drumming from Chad Smith, the pounding bass of Michael Anthony, and the incredible guitar skills of Joe Satriani. 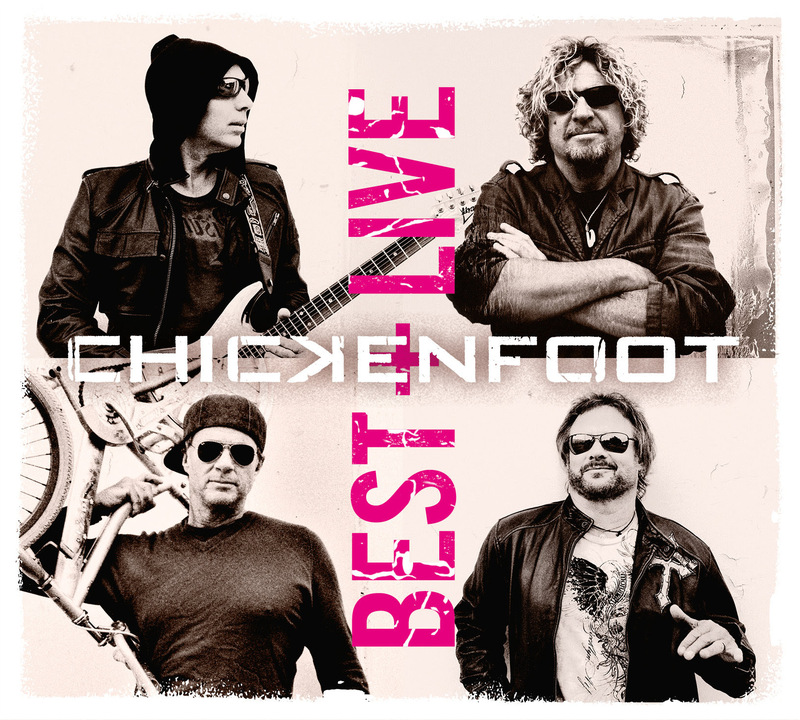 Chickenfoot is a musician’s band, and the results of what they’ve created up to now are very impressive. Their second studio release, Chickenfoot III, is a second dose of groove driven, heavy rock with Satriani’s trademark guitar thrown in for good measure. Standout tracks on Chickenfoot III, are “Dubai Blues,” “Up Next,” and “Different Devil”. Although Best+Live is ninety nine percent compilation, and a repeat of what’s already out there, “Divine Termination” gives us ‘foot fans a reason to believe a new Chickenfoot V album cannot be that far off.